On Friday, May 13, 2016, Lebanon Police Officers and Detectives conducted an investigation into the sale of illegal drugs in the City. During the course of the investigation, Jesse Champney, age 25, of Canaan, New Hampshire, agreed to sell heroin to a confidential informant. 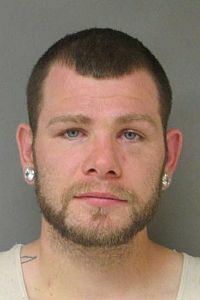 When Champney arrived to make the sale, he was confronted by Lebanon Police and fled on foot. Champney was quickly apprehended and charged with Possession of Heroin with Intent to Sell, a Class B Felony and Resisting Arrest, a Class A Misdemeanor. Champney, who was also out on parole, was held on $50,000 cash bail and is scheduled to be arraigned in the Lebanon District Division, New Hampshire Second Circuit Court on May 16, 2016.